INMUNOTEK has been awarded as an Innovative SME (Small and Medium-sized Enterprises) at the Technology and Innovation Awards, an initiative of the newspaper La Razón, owned by Grupo Planeta. 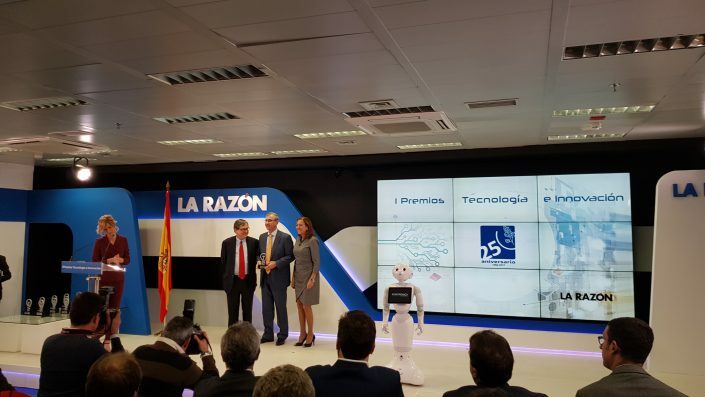 The award was delivered by the Director of La Razón, Mr. Francisco Marhuenda, and Mrs. Carmen Vela, Secretary of State for Research, Development, and Innovation of Spain. Marhuenda said that these prizes recognize the work of professionals and companies from different sectors “that contribute to the development and evolution of society and improve the quality of life of people”. INMUNOTEK was the only pharmaceutical company awarded.